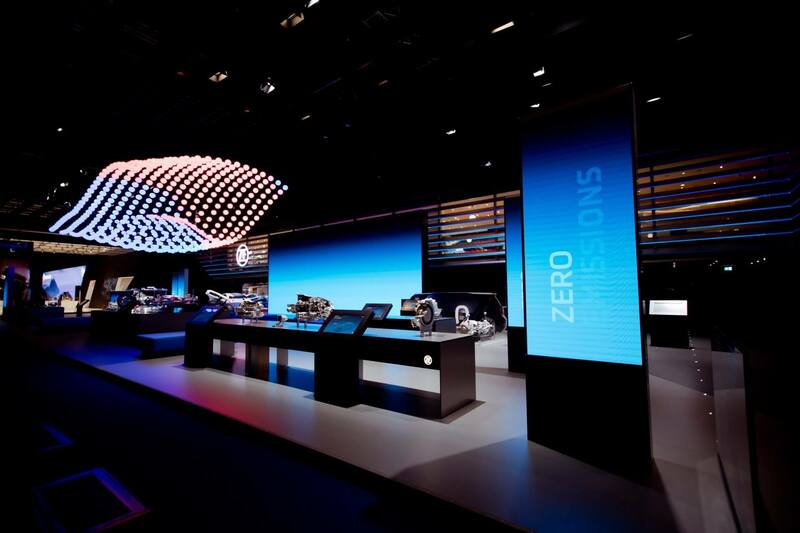 Countering the flood of information and images at the IAA motor show is no easy undertaking, but it can be done. 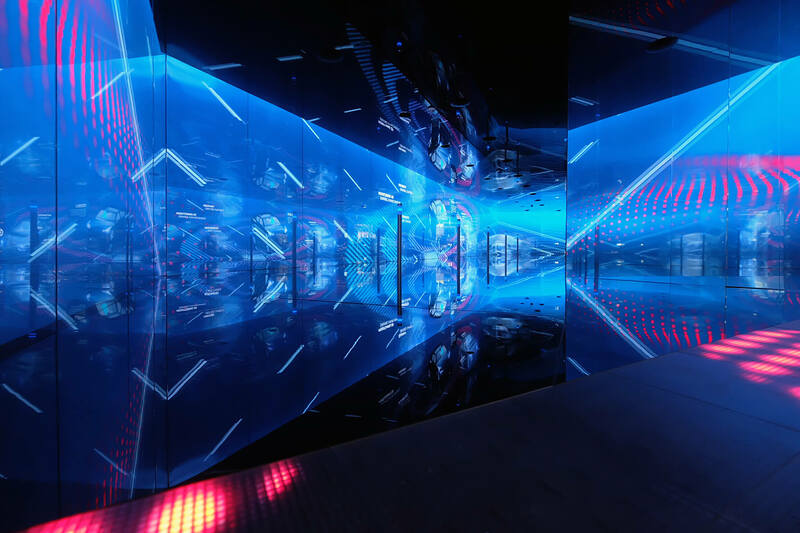 Inside a tunnel accommodating spectacular animations and fascinating mirror effects, visitors could immerse themselves in the future of motoring. 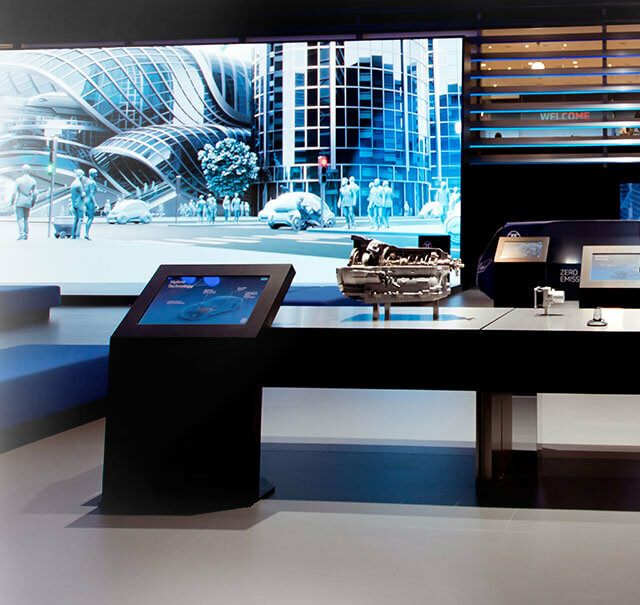 For the fair, OSK conceived and built the multi-activity space and the entire fair presence of ZF, the world’s third largest automotive supplier. 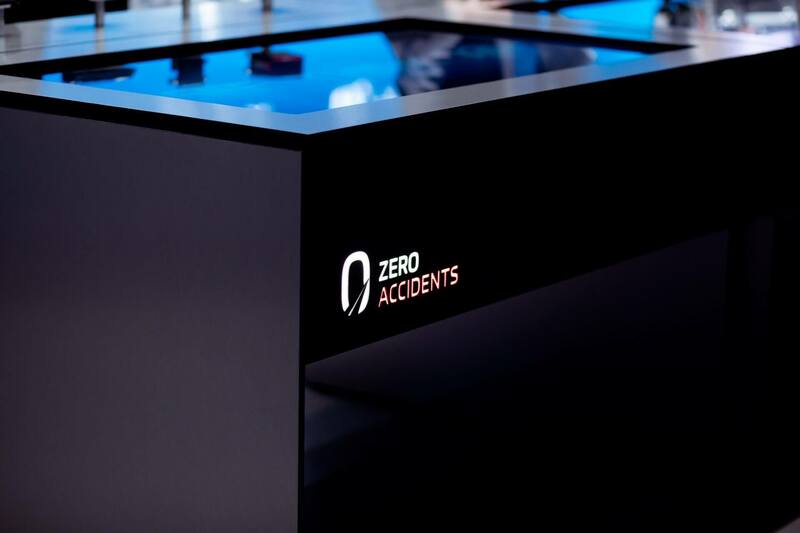 Well in advance of its market-wide rollout, autonomous driving was brought to life for visitors to the ZF theme tunnel at the IAA 2017. 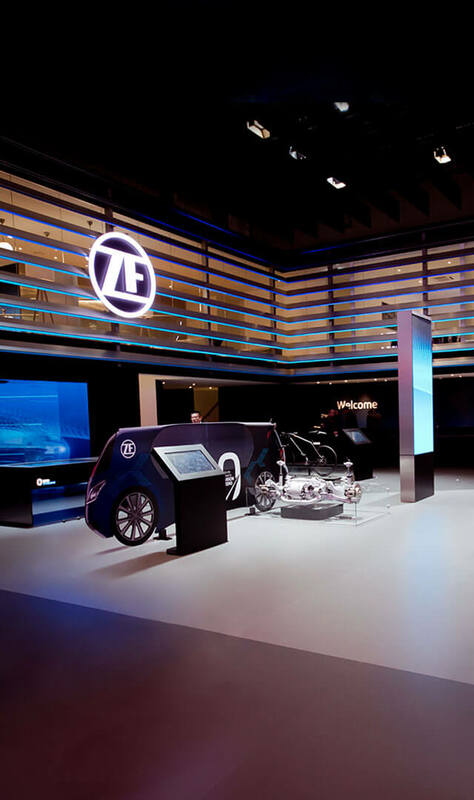 The adventure space that was the highlight of the ZF booth – measuring 25 meters long, 3.5 meters wide and 2.5 meters tall – gave visitors an interactive feel for the five levels of autonomous driving. A 75 GB film with a resolution of 12K (approx. 12,096 x 960 px) was presented on a 30-meter LED wall clad with two-way mirrors. The trick played by OSK’s architects and motion designers was to create an infinite array of images of both the content and the viewers themselves by covering all the wall surfaces with mirrors. The resulting walk-in digital kaleidoscope delivered an unprecedented visual experience to all those who entered the space. 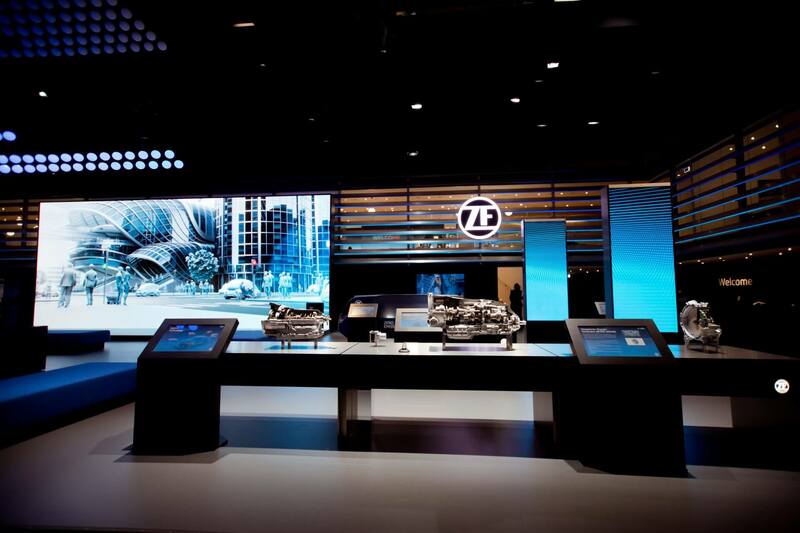 The emotionally charged presentation, colored in ZF’s corporate blue, symbolized the infinite connectivity and the vast data quantities that will be shaping the future of human mobility. 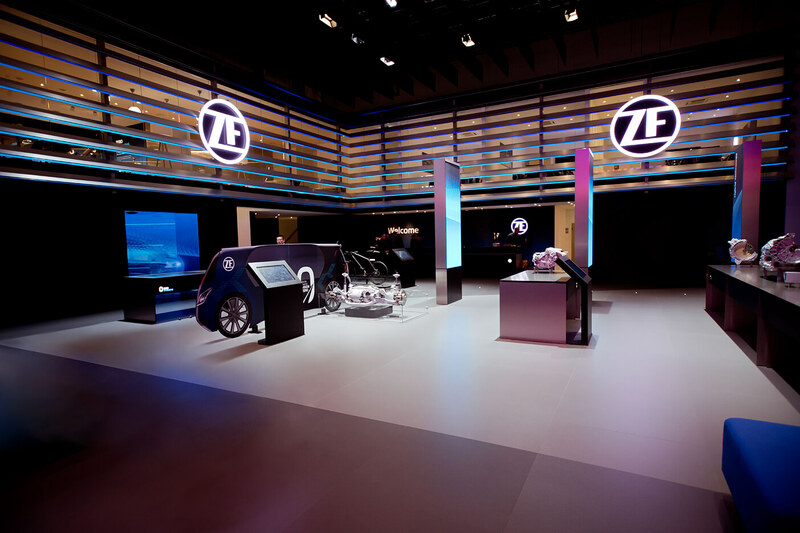 The theme tunnel was not only tailored to match ZF’s showing at the fair, but also reflected OSK’s own ambition to create impressive brand worlds that penetrate the audience’s consciousness. Edutainment – learning through a medium that both educates and entertains – is the buzzword in this context. It’s no surprise that the tunnel attracted huge interest from visitors to the fair.